Substance Abuse Prevention is a proactive, comprehensive system that is designed to preclude, forestall, or impede the development of substance abuse problems, primarily for youth. This is best accomplished through the use of ongoing strategies such as increasing public awareness and education, community-based processes and evidence-based practices. In recent years, prevention efforts have shifted more to the local and county levels, giving individual communities the opportunity to identify their own unique prevention needs and develop action plans in response. Local communities participate in community needs assessments, strategic planning, goal-setting, data-driven evaluation, social marketing, mass media, technology, resource sharing, economic impact, community-level education and continuous quality improvement. Having a sharper community focus allows prevention strategies to have a greater impact locally and statewide on behavioral change by shifting social, cultural and community environments. Substance Abuse Prevention benefits the health and safety of Florida's citizens by affecting long-lasting, positive change among youth and adults at risk for use, abuse, misuse and addiction. Many young people are using tobacco and other nicotine products. Youth are vulnerable to social and environmental influences. Messages and images that make tobacco use appealing to them are everywhere. Prevention is critical. To assist with prevention efforts, the Florida Department of Children and Families contracted with the Florida Certification Board to develop information materials. Currently, the Statewide Office of Suicide Prevention and the Suicide Prevention Coordinating Council focus on suicide prevention initiatives such as creating and implementing the Statewide Plan for Suicide Prevention in Florida as well as increasing public awareness. Helps communities reduce underage drinking and substance abuse-related problems through a public health approach to creating community-wide change. 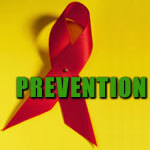 Competitively awarded prevention funds used for evidence-based programs, practices or strategies. The FYSAS is a collaborative effort between the Florida departments of Health, Education, Children and Families, Juvenile Justice, and the Governor's Office of Drug Control. It is based on the "Communities That Care" survey, assessing risk and protective factors for substance abuse, in addition to substance abuse prevalence. The Annual Synar Report provides the means for States to comply with the reporting provisions of the Public Health Service Act and the Tobacco Regulation for the SAPT Block Grant. This event calendar is for everyone to be informed of Substance Abuse Prevention events scheduled in Florida.